Being overweight or obese is a common problem that has taken a toll on lives of most people. A person basically gains weight if he or she is consuming more amount of food and utilizing it less by doing any physical task. The job of food is to provide us energy to sustain throughout the day. If a person follows sedentary lifestyle that food is stored up in his or her body in the form of fats at various areas that are seen outside as a bulging cellulite. Other factors that support putting on weight include having refined foods, certain medications like to curb migraines or thyroid issues, psychological distress and related medicines, insomnia, alcoholism, slow metabolism, genetics, poor digestion, age, pregnancy and post-pregnancy stage. Slim-N-Trim capsules are a kind of herbal weight loss pills that successfully sheds excessive body mass by suppressing one’s appetite in such a way that he or she doesn’t feel hungry all the time and never feel tired as well. This means these ayurvedic fat burning capsules nourish the whole body and fulfills all its basic needs. This provides all the necessary nutrients to all bodily organs. In addition to it the person has control over his or her psychology as well. This implies that a person won’t eat out of stress or boredom unnecessarily. This is all made possible because ingredients like Haritaki, Bahera, Kali Mirch, Chitrak, Babool, Neem, etc. are renowned herbs that are helping in losing weight since ages. The person’s overall digestion is improved and his body’s metabolism is elevated. Overall whoever uses these herbal weight loss pills is going to experience really drastic changes within. Do Slim-N-Trim capsules cause any side effects? No, Slim-N-Trim capsules do not cause any side effects since these contain only plant based natural herbs mixed in a fixed proportion. How long do I need to take these ayurvedic fat burning capsules? You have to take these ayurvedic capsules for around 3 to 4 months to get considerable outcomes. You may also consume these fat burning pills for more duration if your body is really heavy and needs to shed more weight. How to consume these herbal weight loss pills? Take 1 capsule of Slim-N-Trim 3 times a day with water and repeat the same for at least 3 months. 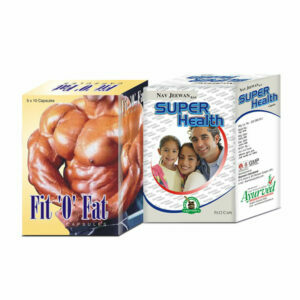 What is the preferred diet during the course of these ayurvedic fat burning capsules? 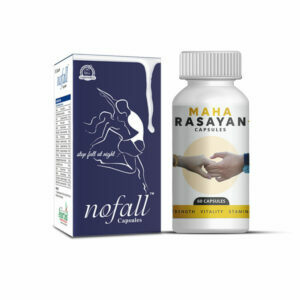 You must first of all avoid things like unrefined foods, desserts, aerated drinks and alcohol to support the functioning of these ayurvedic fat burning capsules. Make a habit of exercise and have fresh fruits and vegetables whenever you feel hungry. Vegetarian diet is better than non-vegetarian ones when it comes to losing extra mass. Non-vegetarian can be consumed at times like salmon, tuna, eggs, milk, etc. but it is best to eat that seldom and in less quantity. How can I buy Slim-N-Trim capsules in India and from where? Select the quantity of the package from the given drop down menu. Click the BUY NOW button. Now fill up the billing details that include your name, address, email and contact information. Among these three choices – direct bank transfer (NEFT), demand draft (DD)/cheque or cash on delivery- select any one mode of payment. Now click on PLACE ORDER button. Finally send us an email or text message mentioning about your payment details if you have selected an advanced payment method. We will soon dispatch your items after getting the payment confirmation. 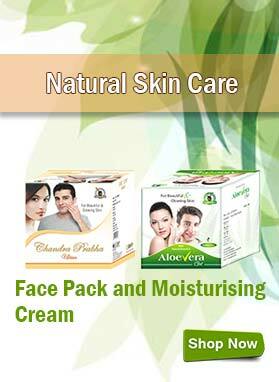 We always discreetly pack each and every product that is dispatched from here. You will receive your herbal weight loss pills within three to five working days. I was so scared since I was putting on weight too rapidly and seriously needed a fix. One of my cousins had tried taking Slim-N-Trim capsules and suggested me too. Since I could see the changes in her I too agreed to consume these herbal weight loss pills. I am so impressed by seeing the results since it has been just 45 days and I lost 4 kg. Way to go for reaching the target and I am sure these ayurvedic fat burning capsules won’t disappoint me. My cousin purchased Slim-N-Trim capsules to get rid of the unwanted belly fat after pregnancy. Now she is very happy to see the changes in her weight reading. Her target was to lose 10 kg in 4 months and within just 2 months of intake of these pills she has lost up to 5 kg. She is still continuing the course to achieve her target and get a proper body shape and is greatly thankful to the makers of these herbal capsules. Slim-N-Trim capsules are really effective. My friend was able to lose 3 kg in just 50 days of taking these capsules. Although these pills give slow results but the results are surely amazing. My sister risked the purchase of Slim-N-Trim capsules 3 months back and now she is very happy with her decision. Her weight has got reduced by 4 kg and she has not noticed a single side effect of these pills till now. These pills are just awesome. 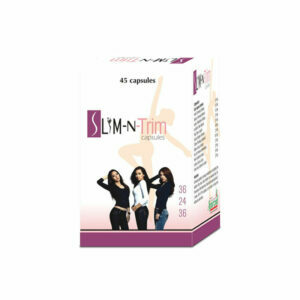 The regular intake of Slim-N-Trim capsules has helped my sister a lot in reducing body weight. Now she looks fit instead of overweight. Thank You!! My friend lost 6 kg within 3 months with the help of Slim-N-Trim capsules and she looks very fit now. 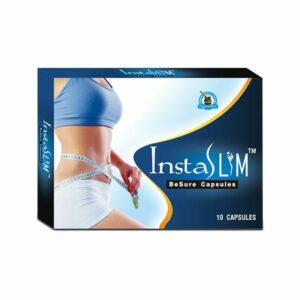 These pills are very promising and do not disappoint those looking for natural supplements to reduce weight. My wedding date was near and I was gaining weight, my increasing weight put me down and I was completely depressed. Finally took help of friend and she suggested me Slim-N-Trim capsules because she also tried Slim-N-Trim capsules. I saw remarkable difference in my body and reduce approx 8 kg in 2 months. I am a working man, my sitting period is more than 6 hours; my belly fat was increasing day by day then I saw herbal Slim-N-Trim capsules to get rid of my problem. After 2 months of regular use I saw changes in my body and that was so amazing. My belly fat reduces by 2 inches. Thanks to Slim-N-Trim capsules. You saved my life. My brother was fat and bullied by his friends due to his fatness it was so awkward for me. And then I purchase herbal Slim-N-Trim capsules and now he has transformed his image from fat to fit. To get rid of unwanted belly fat my cousin purchased Slim-N-Trim capsules. She is very happy to see visible changes in her body. Her target was to lose 4 kg in 1 month and she achieved her target. She continued the course for better results. I have been on this pill for 5 weeks now and I think it’s great. I have only lost 5 lbs, but for me that is great as I have slowly been gaining. It also reduced my appetite to half. Great product. Burn more calories to lose weight. Heard it million times and tried everything to burn more calories but still weight was there where it was. Finally I could lay my hands over Slim-N-Trim capsules and now my body was burning calories regularly. I had more muscle mass and my metabolism was always active to keep them energized. In few months I was stronger, fitter and healthier and having not a single pound of extra fat. Slimmer and stronger body is more agile, attractive and enduring. Go ahead, try this.